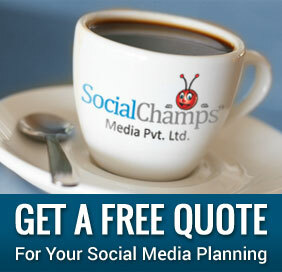 Mastering the world of social media is simple. Come up with stuff that captures attention, and compels others to recommend you and your brand to others and your job is done. Paul Cohelo’s ‘The Alchemist’ says that the secret of Alchemy can be described in just a few lines on an emerald tablet. Bet the secret of mastering social media too can be written on the same emerald tablet with some space to spare. Implementing it in real life… well that is a different story altogether. From Orkut to Facebook, From Tumblr to Twitter, from desktops to tablet computers- mastering social media is all about constantly adapting and making use of all possible mediums to convey your message to the largest possible audience. This is probably the reason why Pinstagram is going to become the next trendy thing in the world of social media. Pinterest is an online board where surfers can pin images, graphics, infographics, slogans, cartoons, illustrations, charts, photographs, jokes, Internet memes, and amusing photos for all to see. Users can have as many boards as desired and can share different boards with different persons without any restrictions whatsoever. Pinterest is an online network that is not designed to be accessed on smart phones and smaller devices. Instagram, on the other hand, is a based on the mobile platform and is designed for iPhones and Android devices. It is primarily designed to help users apply filters to photos taken using a cell phone camera before sharing it on Facebook, Twitter and other social networking websites. So, what we have here are two different solutions based on different platforms and catering to different individuals despite sharing a fundamental feature- sharing of images with social contacts on the Internet. Pinstagram is the result of a brainwave that owed its origin to a bad joke shared between co-founders Pek Pongpaet and Brandon Leonardo. It lets you showcase your Instagram photos on the Internet in a layout that resembles what Pinterest has popularized. This rather unassuming mashup combines the power of Instagram- the world’s most famous image sharing social network with the ubiquitous and unimaginably popular Pinterest. The site does not have any funding yet and is not releasing user related statistics but the buzz that this site has generated amongst surfers and social media users is unbelievable. Its success can be gauged from the fact that Pinstagram iPad app debuted before Instagram was released for the iPad and is the eight most downloaded photography app in the Apple app store. What implications does this have for an individual or a business trying to use social media to enhance exposure? Pinstagram is the link between two powerful social tools and helps every single image get double the original exposure to two different groups interested in sharing good and fun images. 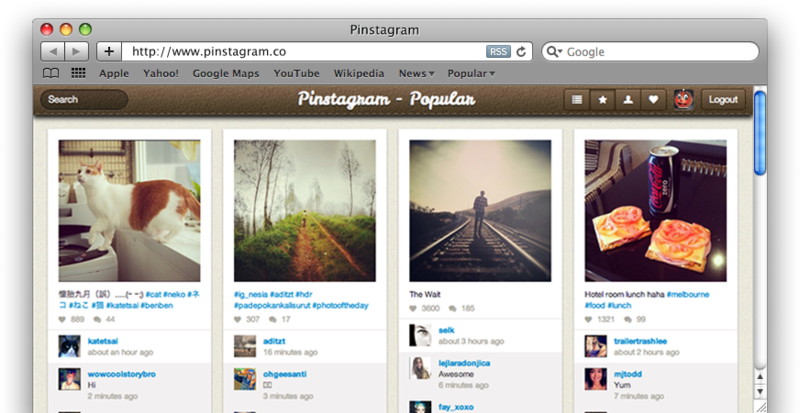 Lets see how Pinterest and Instagram responds to spreading Pinstagram now.